Hide deals from seller "Absolute Nail Spa"
Limit 1 per person. Valid on eyebrow, lip and chin waxing. Valid Mondays, Tuesdays and Wednesdays only. By appointment only. All services must be redeemed in 1 visit. Promotional value expires 60 days after purchase. 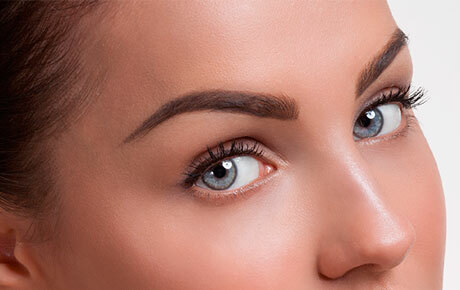 Put your best face forward with this deal for 11% off facial waxing at Absolute Nail Spa in Wheeling ($35 value). Make your face smooth and let your best features shine with eyebrow, lip and chin waxing to help you feel confident and look your best. Owner Chow has a passion for nailcare and has been in the beauty industry for more than 13 years. Absolute Nail Spa opened eight years ago and continues to provide locals with outstanding services in a convenient location. The experienced staff offers services like manicures, pedicures and massages at reasonable prices. Stop in to get flawless features with this deal. A salon in Wheeling offering nailcare and waxing services.